Nationally renowned author, freelance writer, director, producer, songwriter, television and radio host, screenwriter, playwright and evangelist Devine Matthews was raised a devout Muslim. Throughout her personal life and business career, she has always considered herself first and foremost "God’s Handmaid." As an adult, a series of events brought the mother of three to crossroads in becoming a Christian. While her decision was not an easy one, for Devine, there was no turning back. Her eyes filled with tears of gratitude and her heart warmed with a sincere appreciation for Life when she acknowledged Jesus as her Messiah. The peace, joy and freedom she discovered were well worth the challenges she faced throughout her lifetime. Devine embraced her determination, passion and dedication in sharing her faith with others, so they too could find the happiness she now enjoyed. Her devotion in helping others led to featured articles in the Detroit Free Press, Woman’s World Magazine, Christian Examiner, A Christian Place Magazine, Inland Valley News, and PRWeb. She was contributing writer for the book about family life titled, “Happy Wife, Happy Life.” Devine wrote, directed and produced a powerful and compelling short film titled, "Reach Your Dream,’’ that was selected for premiere screening review at the Kingdomwood Christian Film Festival in Atlanta, Georgia. She also successfully produced two popular television shows, Youth Unlimited Show and Gospel TV that aired on Time Warner Cable Television for six years. Devine has been featured as a dynamic guest speaker at various churches and women conferences throughout the United States. 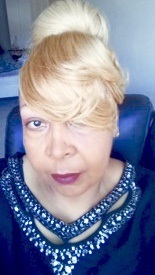 Comments and praises about her speaking engagements include: "This unchurched woman of God is a true mouthpiece for the LORD with few but effective words that are direct and straightforward.” “The unique and unusual anointing that God has entrusted her with is ‘violent’, quick, fierce, ferocious and no nonsense." She is known for her humility, compassion and persistent spirit in serving God. Many lives have been blessed and touched through her encouragement and generosity. Devine Matthews and husband Deon are members of Church of His Presence. They are founders of “4 Hz Glory Outreach, a non-profit organization. Today, they continue to actively spread God’s Word and His goodness on local radio stations, mentoring youth and feeding the homeless in the greater Detroit area. 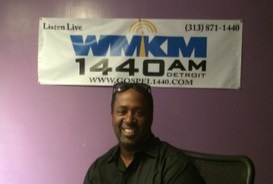 Deon Matthews is the co-founder of 4 His Glory Outreach and By His Spirit Media. He is also a Maintenance Coordinator for an apartment company in Metro-Detroit. He has worked in the home improvement field for over 20 years and loves his occupation. He is VP of A Different Spirit Media Productions and has worked as technical director on the Gospel TV and Youth Unlimited Show. He was the executive producer/co-director on the film – Reach 4 Your Dream. Deon received his degree in liberal arts at Wayne County community college and is actively involved in the daily operations of 4 His Glory Outreach. He is a student of the word and a very good Bible teacher. Matthews has been a guest speaker at different outreach events and Churches. Deon loves participating in sports activities, praying, reading his Bible and serving others as well as helping others in whatever capacity he can. BOARD MEMBERS & ADVISORS INFORMATION COMING SOON!